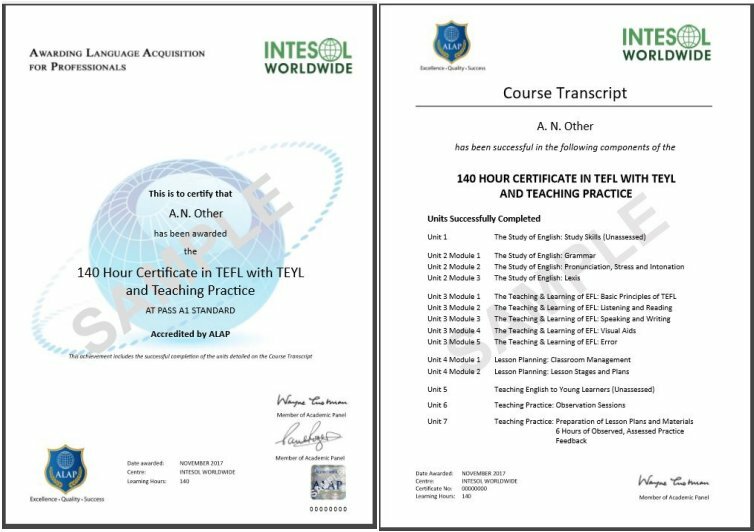 The INTESOL accredited 140 hour Certificate in TEFL with Online Teaching Practice is the perfect option if you would like to gain an internationally recognised TEFL course online, yet still gain valuable teaching practice before going you start your first teaching job. You can be anywhere in the world to take your teaching practice as we’re the only TEFL course provider that gives you the opportunity to practice teaching online! All this for an amazingly affordable price. When you begin teaching English abroad some, if not all, of your classes will involve teaching young learners. This TEFL course includes a module on teaching young learners, so you’ll be fully equipped with the skills that are in high demand by TEFL employers worldwide. You’ll learn the best ways to make classes fun and engaging for both you and your students, ensuring that your experience is a rewarding one. Do you want to see the world? This is your passport! Get an English teaching job anywhere in the world. Why THIS online TEFL course? You can study this TEFL course online from your desktop, laptop or mobile device whenever and wherever you want. There are no set start dates and no time limit. You have the freedom and flexibility to fit your TEFL studies around your lifestyle. You can even study on the beach! This 140 Hour TEFL contains a module on teaching English to young learners. This additional knowledge will not only be invaluable to you when you begin teaching, it also means you’ll be able to demonstrate specific skills that are in high demand by TEFL employers. We’ll make sure you stand out from the crowd! No need to miss out on valuable teaching practice. Learn impressive techniques for teaching online and offline by taking your teaching practice with our partner school, the top online English tutoring company in Asia. You can also choose to take onsite and observed teaching practice at a choice of worldwide locations. INTESOL Worldwide has been training TEFL teachers for 25 years and is well known and respected in the TEFL industry. This means your TEFL certification will be instantly recognised internationally as being of excellent quality. The 140 Hour TEFL course is externally accredited, meaning the content and teaching methods have been scrutinised externally to meet industry standards. This means you can be sure you’ll participate in a fruitful learning experience. INTESOL Worldwide has a strong network internationally with branches all over the world, including Japan, Iran, Nicaragua, Russia and many more. Not to mention the multitude of relationships we have developed with EFL schools and recruiters in TEFL employment hotspots. We’re well placed to help you find the best teaching jobs. The 140 Hour Certificate in TEFL online with TEYL and Teaching Practice is accredited by ALAP (Awarding Language Acquisition for Professionals), a UK based Awarding Organisation. ALAPis an accrediting organisation that specialises in the ELT industry. The overall aim of the 140 hour Certificate in TEFL is to provide a thorough introduction to TEFL / TESOL theory and practice and prepare you for teaching in the real world. No prior qualifications or experience are required. Fluent English, determination and willingness to learn are all you need. Within twenty four hours of enrolling in your online TEFL course you will receive your login details for the INTESOL Online Campus. 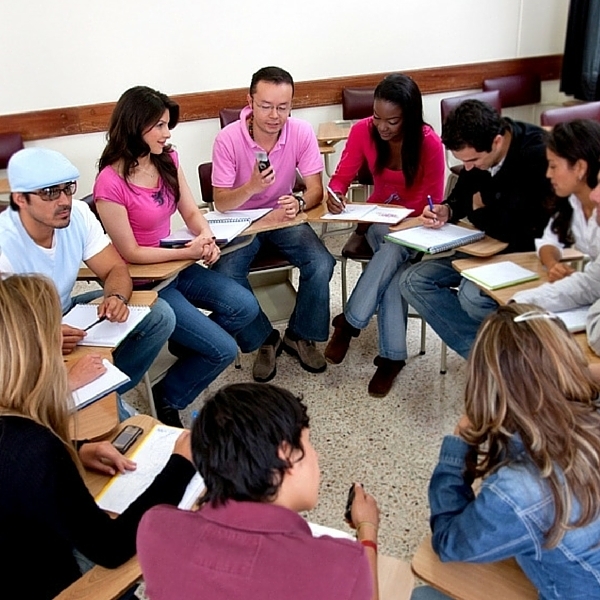 The online element of the TEFL course consists of five units (a total of eleven modules). Each module has a lesson that you will study at your own pace and an assignment that you will submit for grading by your tutor. When your assignment has been graded you will receive a notification by email and be able to view your grade, plus any guidance and feedback, in your online grade book. The grade book allows you to easily monitor your progress as you work through the lessons and complete the course. If you happen to fail a module, don’t worry, you will be given the opportunity to re-submit your assignment after a little extra coaching. There are no final examinations. As soon as your last assignment has been graded you will be able to view your final grade in the grade book. Your final grade is calculated by taking the average of your ten grades for the ten assessed modules. This will be the grade shown on your Certificate in TEFL with TEYL. A low-cost, time effective format and accessible by anyone wherever they are in the world is the INTESOL online TP. All you need is a computer, webcam, headset and fast internet connection (see below for technical requirements). You will be given lessons to prepare. Your lesson plans and materials will be emailed to the Director of Studies in the school whose students you will be teaching. You will be asked to suggest dates, and lessons will be arranged at times mutually convenient for you and the school. You will be able to decide whether to do your lessons on the same or different days. You will also have the option of planning and delivering just one group initially so that you can draw on the experience to plan the following group. You will be expected to plan 6 lessons of 40 minutes each, 3 at elementary level and 3 at a different level. You will be sent details of the lessons you must plan. The INTESOL Online Teaching Practice is a totally flexible, convenient method of earning a CELTA/Trinity equivalent TEFL qualification COMPLETELY ONLINE! Module 1 – Grammar – tasks on the understanding of grammar, tense & structure – to be completed with the use of a grammar book. Module 2 – Phonetics – tasks relating to the phonetic alphabet(given), stress & intonation. Module 3 – Lexis – tasks relating to the presentation of vocabulary, compound words, word stems, language appropriacy & frequency. Module 2 – Reading and Listening – tasks based on exploitation of authentic materials i.e. magazines, newspapers, radio broadcasts etc. Module 4 – Visual Aids – study of all the audio-visual aids available. Production of your own flashcards and aids to be used with a simple flannelgraph. Module 1 – Classroom Management – task relating to student teacher relationships and how to achieve genuine communication inside and outside the classroom. Module 2 – Lesson Stages and Plans – putting all the above into a lesson; timing; warm-up; input; practice and production stages of your lessons. Observed, assessed teaching & feedback sessions. The length of time it takes to complete the TEFL course depends on your other commitments. There are approximately 140 hours of work in the online TEFL course, including online teaching practice. As a general guideline most students complete the online TEFL course in approximately 8 weeks, however if you require more time this is not a problem. What’s included in your TEFL course fee?